Most people come to the Outer Banks for the many miles of pristine beaches and the laid back atmosphere which sets the tone for a relaxing vacation. In between sun-tanning and relaxing at your cottage, you will certainly want to check out one or more of the top Outer Banks attractions. We’ve provided a list of the top Outer Banks attractions along with a short video for your convenience! Take a drive on the wild side! 4×4 Carova Beach is home to the famous wild Mustang horses who have occupied this area for centuries. Accessible by beach driving only (4×4 vehicle required), however if you don’t have a 4×4 vehicle there are many companies offering wild horse tours daily throughout the Summer. Find groups of horses grazing in the dunes or hanging out on the beach. If you’re really lucky, you may even find one taking a bath in the Ocean! Best of all, you can rent a vacation home here! Climb 220 steps to the top of the historic Currituck Beach Lighthouse for an amazing view of Corolla and the Whalehead Club. Currituck Heritage Park includes the Currituck Lighthouse, Whalehead Club and Outer Banks Center for Wildlife Education. Enjoy a self-guided tour of the Whalehead Club, a 1920s-era Art Nouveau-style mansion listed on the National Register of Historic Places. While you’re there, climb the light house and check out the Outer Banks Center for Wildlife Education, offering seasonal educational programs. Nestled in the heart of the town, the Duck Town Park features 11 acres of natural beauty. You’ll enjoy nature trails, a kids play park, an event amphitheater, stunning Sound views and access to the nearly 1 mile long Soundfront Boardwalk along the Currituck Sound. 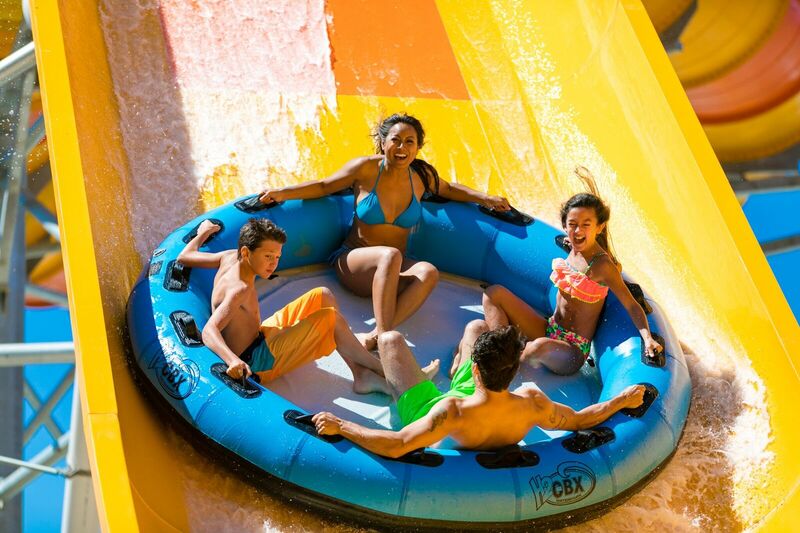 From buried treasure and legendary pirates to windswept dunes and wild horses, the epic story of the Outer Banks comes alive at H2OBX waterpark. Whether you're seeking wild family fun or an upscale resort getaway, H2OBX is the place to create vacation memories. Enjoy more than 30 rides, slides, and attractions - plus, tickets are dated and limited to ensure you’ll have an experience like no other waterpark in the country. The park is located in Powells Point just a few miles north of the Wright Memorial Bridge. Learn more about Beach Realty's guest discount here! The Outer Banks is home to several fine golf courses. In Corolla, you’ll enjoy the prestigious Currituck Club (view Currituck Club vacation rentals). On the mainland, take advantage of Kclub discounts on golf fees (view participating homes) at the Kilmarlic Golf Club, or stay at a Kilmarlic Club Cottage. The mainland also offers the Carolina Club (Grandy) and The Point Golf Club (Powells Point). Open to the public year-round, the Kitty Hawk Fishing Pier is a great attraction for fishing, weddingsand events, or a casual walk. You’ll find the Kitty Hawk Fishing pier on the Hilton Garden Inn property around MP 1 in Kitty Hawk. Tidal pools are known to form around this area. This historic fishing pier was built in 1958 is nearly 700′ feet long. Located around MP 6 in Kill Devil Hills, Avalon Pier is open seasonally for fishing and walking. Take a trip back to 1903 when Wilbur & Orville Wright took flight right here in Kill Devil Hills! The Memorial includes a museum, monument and reproductions of the brother’s aircraft. Nags Head Fishing Pier is one of the oldest and longest surviving piers on the Outer Banks. You’ll love the convenience of their on-site restaurant and bait and tackle shop. Nags Head Fishing Pier is located around MP 11 in Nags Head. Located at MP 12, Jockey’s Ridge State Park is the tallest natural sand dune on the east coast. Fly a kite, try hang-gliding or just relax and enjoy a spectacular sunset on the spacious dunes. Jockey’s Ridge is open daily, year-round and offers free admission and parking. The new and improved Jennette’s Pier offers a fantastic on-site educational center, seasonal programs for visitors of all ages, and of course, fishing off the 1,000′ foot long pier. It is located around MP 16 in Nags Head. 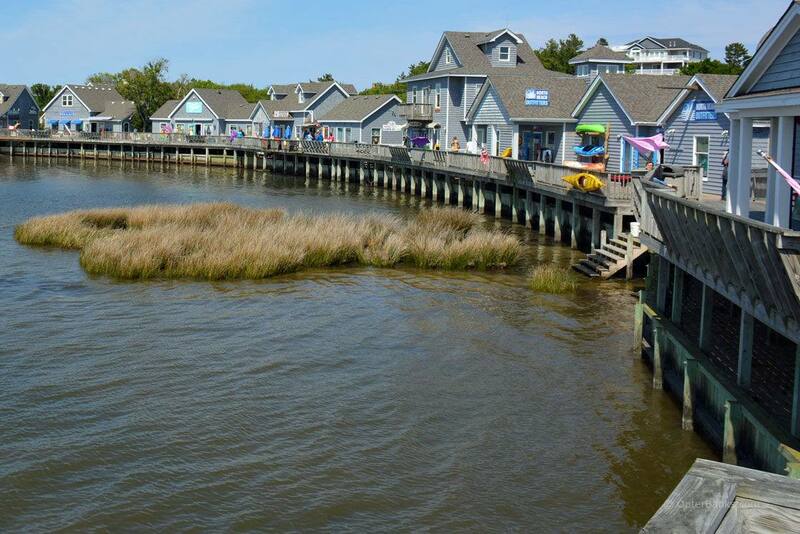 For a fun-filled pier experience, make a visit to the Outer Banks Fishing Pier! Located in South Nags Head, the Outer Banks Fishing Pier is open seasonally for fishing and walking. You’ll love the on-site outdoor restaurant and bar with live music nightly during the Summer. Basic tackle and fishing supplies are sold at the pier. Bird watchers and nature lovers should definitely visit the Pea Island National Wildlife Refuge. It is small in size, but huge in popularity among both wildlife and people! Standing 170 ft tall, the Bodie Island Lighthouse is open seasonally for climbing. Climb the 214 steps that spiral to the top for a breathtaking view of Ocean, Sound and sprawling nature, as most of its surroundings are National Refuge lands. Bodie Island Lighthouse is located on Rt. 12 South near Oregon Inlet Fishing Center. If you like to fish, a visit to Oregon Inlet Fishing Center is a must. And if your schedule permits, a charter fishing trip out of Oregon Inlet is highly recommended. Oregon Inlet Fishing Center is the home of the largest and most modern charter boat fishing fleet on the eastern seaboard. A full service marina in Nags Head NC, Oregon Inlet offers a comprehensive fishing experience for the “old salt” or the vacationing fisherman. A perfect attraction for kids of all ages, The NC Aquarium at Roanoke Island is open year-round. Daily programs include marine life videos, live animal programs, audience participation games, demonstrations and more. 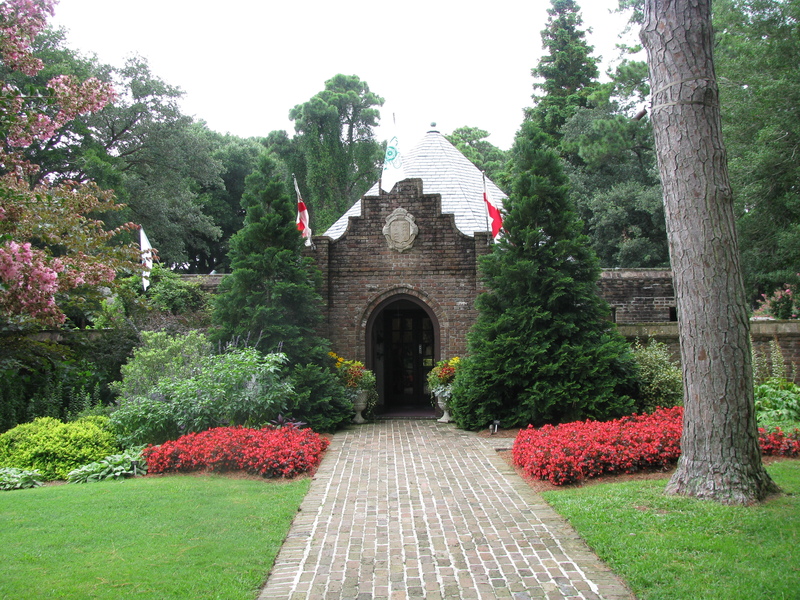 The Elizabethan Gardens, located on Roanoke Island, is a Fanciful and elaborate gardens were kept to entertain Queen Elizabeth I during her reign. The Elizabethan Gardens hosts numerous family events and educational workshops throughout the year. A long-time running Outdoor live theater performance, The Lost Colony is an incredibly exciting adventure the whole family will love. Daily performances seasonally, located on Roanoke Island. Beach Realty guests receive a discount off admission! A reconstruction of the original, the Roanoke Marshes Light is a popular visitor attraction in Downtown Manteo. Historical and educational activities are offered seasonally courtesy of the North Carolina Maritime Museum. Visit the Elizabeth II, a replica of the historic 16th century sailing vessel, docked near Roanoke Island Festival Park. Snap a photo on a stroll of downtown Manteo or take a guided tour of the ship (offered seasonally). Located in the town of Buxton, the Cape Hatteras Lighthouse stands over 200ft tall, and is the tallest lighthouse in North Carolina! At the very end of Hatteras island you can take a ferry over to Ocracoke Island, a small, but inhabited island with gorgeous beaches and plenty of local culture and history to discover! Ocracoke Island Lighthouse is North Carolina's oldest lighthouse in operation, and the 2nd oldest in the whole United States. It is a small lighthouse at only 65ft tall, but definitely worth the visit if you're down there! You’ve decided on which Outer Banks attractions to visit, but where will you stay? Search nearly 500 Outer Banks vacation rentals from 4×4 Carova Beach to South Nags Head. Browse Rentals.